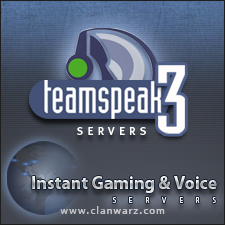 Many clients have their own domain name and use their domain to connect to their Teamspeak 3 Server. Creating this TSDNS Record is simple using our Enom API plugin. Our plugin allows you to create and manage your Domain and TSDNS Records. No coding experience is required and as long as you keep your Domain Name current you will always be able to manage your Domain and TSDNS Service Records. Creating your own easy to remember Custom Custom Teamspeak 3 Server Address is easy, quick and can be done by you without any admin intervention. How fast your computer resolves your newly created TSDNS Service record all depends on your computer's name servers. If you use Google resolvers or name servers within your router ( 8.8.8.8 and 8.8.4.4 ) then you will connect instantly. If you use your ISP's name servers, then the newly created Custom Server Address can take a few minutes before it resolves properly.